As solid as a missile Tank.A superb sounding amp that comes with internal MM/MC amp,so good for the turn table beginner who can skip from buying a phono amp . (Metal case/cage),with headphone jack on facial plate it is rare(normally with plastic front panel. - It is tonally balanced toward the earthy substantial side. - The bass is well developed, fast, energetic, growl when necessary and always - articulate and on time. Anything but a wallflower or fun killer. - The treble is more polite than maximally lit up and illuminated. - This amp is very lively, with micro/macro dynamics well above its class. Music gains excitement and, desired or not, commands attention to dish out involvement and get the toes tapping. - Excellant rhythmic and tone timing without intruding by foreshortening jitters. There's flow and articulation. - Sound-staging is realistically proportioned and particularly incarnated body is praiseworthy and admirable. Singers rather step closer toward the listener before singing. 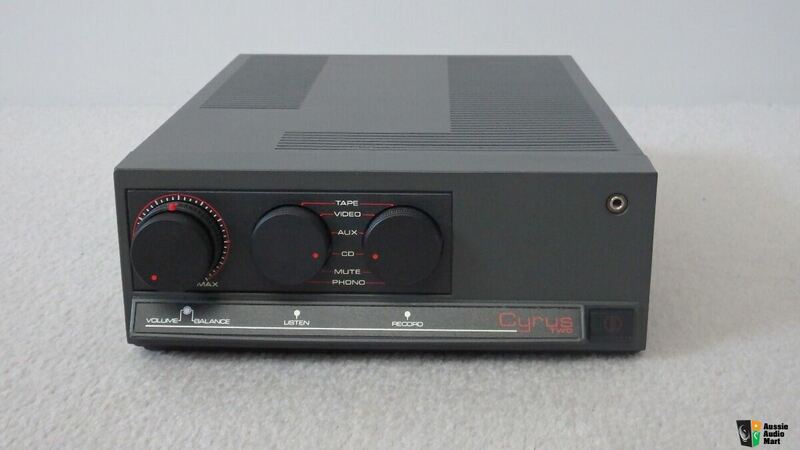 If you really have not heard of the mighty Cyrus 2(read below). where is ur location ?